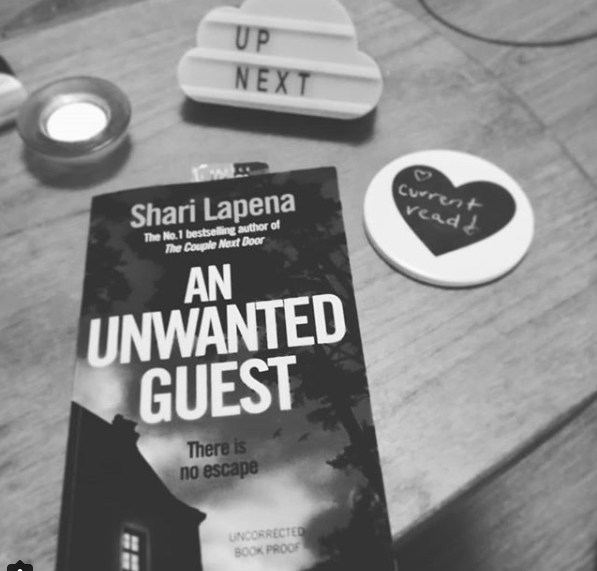 Today is my turn on the blog tour for the fantastic "An Unwanted Guest" by Shari Lapena, please check out the other stops on the tour as everyone offer different content and it is a great book. I also think the banner for this blog tour may be my favorite ever, I love how all the lights come on for each room, bloody fabulous! Welcome to the Mitchell Inn, a wee hotel out of the way and a storm is raging! Two friends and a few couples escape to the inn to work on their own issues. When a body turns up and there is no way to get out or communicate it soon turns into a cabin fever picture with a killer on the loose. EEEEK so lets talk location, it all takes place in The Mitchell Inn, I am so gutted this isn't a real place, I would have love to go there minus the killing. It is old fashioned, unique, no wifi, a wee retreat type place, an ice bar, sitting room and a library bliss. Add to that they are snowed in so really if it hadn't ended up all murderous it would be a bloody perfect location. Gwen & her friend Riley, David is a lawyer and travelling alone, Lauren & Ian are a couple, Beverly & Henry are married this weekend is to fix their marriage and Dana and Matthew are newly engaged and wedding planning. All have their own issues, all are looking forward to their time away, none realising nothing will ever be the same again after this weekend. So, it starts off relatively gentle, we just get to know all the visitors, the hotel is small and with the weather it is a tiny skeleton staff running it. I have to say, normally the small stories getting to know the characters I am a bit meh, these guys we get in bite size as it moves to the next visitors. I found myself getting immersed quickly and not wanting to move on to anyone else for every person I was reading. It isn't that huge things happen immediately but Lapena writes in such a way you want to get to know the characters more. When the first body appears the story takes on a new feel and as the characters start to freak out you can help but feel the tension and suspect everyone. It is all a bit cabin fever and as you turn page after page, more than once, I was holding my breath. What is happening, who is next, who is the bad guy, I found myself going through it like an old Murder She Wrote = suspect them all, trust no one! 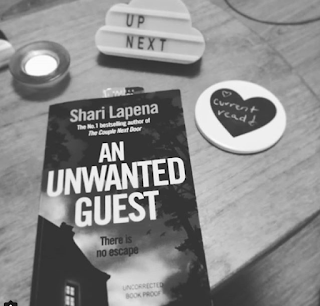 I really enjoyed this, pulled in quickly, experiencing the terror and tension with the characters and fully engaging with it as it all unfolds. I have read this author before and I think there is only one more of hers I need to get. I was kept guessing the whole time and I love when a book does that to you, absolutely a testament to the authors ability to weave a tale and keep you on your toes, 4/5 for me this time. Thanks so much to Random Things Tours for giving me the opportunity to read this and remind me how much I enjoy Lapena's writing!